When writing dynamic web applications, we use nginx as a front-end web server and apache+mod_wsgi as an application server. Ever run into the situation where you click log out, and then click the back button, and are still able to see the pages! That is bad. They are dynamic pages anyway, and should not be cached. This number is updated from time to time (via Python variable) when we need to invalidate the cache. Anyway, here are some helpful nginx configuration directives. 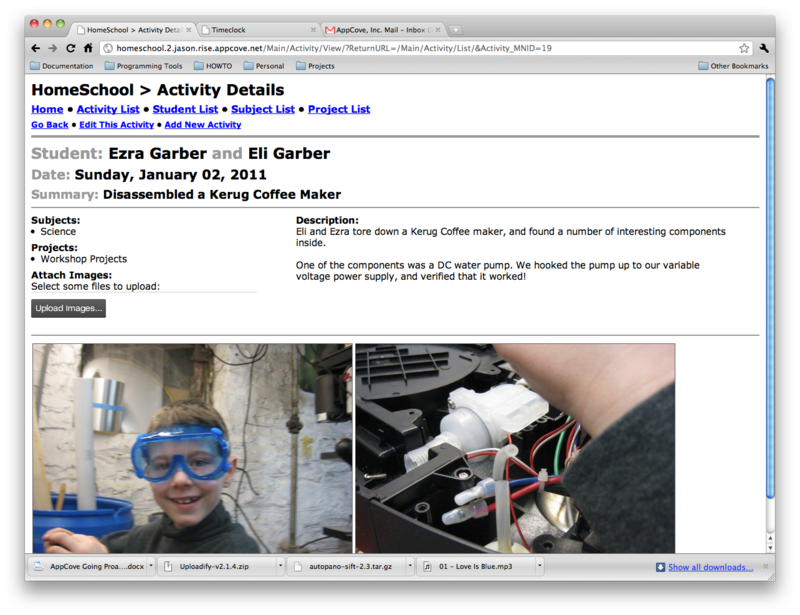 Home School Software now supports Images! 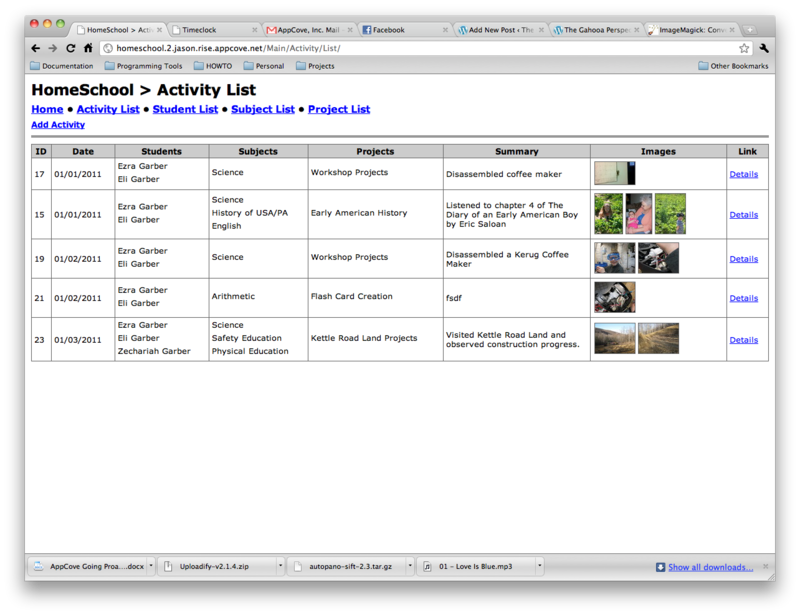 Today I got to a great milestone with the homeschool software I discussed here. It now has excellent image support. For every activity, you can attach an unlimited number of images. They are stored in the database with all of the other data, so it’s easy to backup. Also, I am using ImageMagick to resize them into various preview sizes for quick speeds while working with them. I used uploadify to power the image uploader and ImageMagick to resize them into preview sizes.